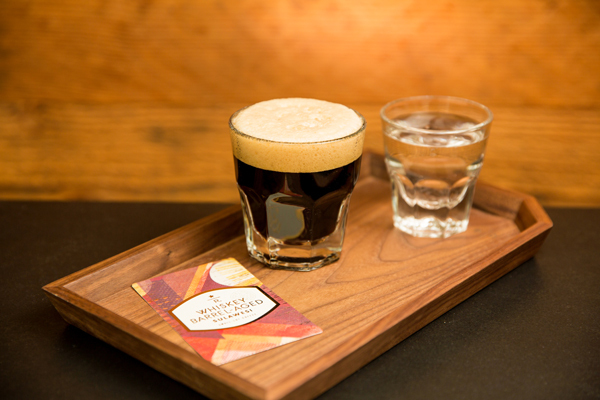 Now customers at select Starbucks stores can try two new beverages inspired by the Roastery – the smooth and velvety Nitro Freddo and the highly coveted Whiskey Barrel-Aged Cold Brew. The word “freddo” in Italian means cold, and European coffeehouses have served a variety of cold, foamy freddo beverages. The new Starbucks Nitro Freddo is made with Nitro Cold Brew infused with dark caramel, topped with a dark caramel infused cold foam, and finished with finely ground coffee across the top. This is the first time Starbucks customers get to experience cold foam at their store with Nitro Freddo, now available at more than 1,000 Starbucks stores in the United States that have Starbucks Draft. Starbucks first debuted cold foam when it opened the doors to the Roastery in December 2014 with the Americano Con Crema, which is topped with a coffee-spiced cold foam and a sprinkle of demerara sugar. 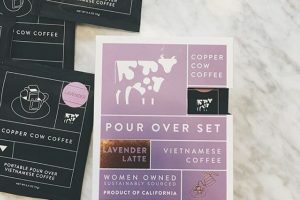 It has also been a feature in a handful of other specialty beverages including the Nitro Cascara Cloud in select stores with immersive Starbucks Reserve coffee bars. Starbucks Reserve Whiskey Barrel-Aged Sulawesi was first introduced at the Starbucks Reserve Roastery in March. It is back, available starting 5 September for the first time in select US Starbucks Reserve coffee bars, and the Roastery in Seattle beginning 12 Sept.
Starbucks Reserve Whiskey Barrel-Aged Sulawesi is made with green Starbucks Reserve Sulawesi beans hand-scooped into freshly emptied oak aged whiskey barrels. The beans are then hand-rotated frequently, allowing the coffee to evenly absorb the whiskey flavor. After several weeks, the coffee is small-batch roasted, a process that eliminates the alcohol but still retains the distinctive whiskey notes. “We take the Whiskey Barrel-Aged Sulawesi and slowly steep it, which brings out its softer caramel flavor and vanilla notes. You marry that with the qualities of the barrel, which has the toasted notes from the burning of the sugars and the wood. 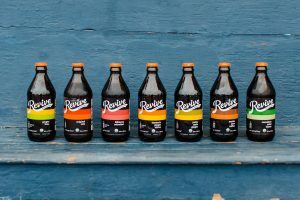 And then there’s the syrup for a little sweetness, so we’re building the flavors at every level,” says Duane Thompson from Starbucks beverage R&D team. Customers at select Starbucks Reserve Bars can enjoy Whiskey Barrel-Aged Cold Brew, Served Straight Up for a limited time. The beverage is made with Starbucks Reserve Whiskey Barrel-Aged Sulawesi cold-brewed coffee combined with a whiskey barrel-aged vanilla syrup shaken with ice, strained and served chilled alongside a glass of sparkling water. The beverage is available in the following US stores with Starbucks Reserve coffee bars: New York at 10 Waverly Place and 85th & Madison; Los Angeles at 4th and La Brea; the Chicago area at North & Damen, Oak & Rush, and Western & Deerpath; the Bay Area at Stevens Creek & DeAnza in Cupertino, Broadway & Hamilton in Redwood City, and Blossom Hill Pavilion in Los Gatos; Dallas at McKinney & Olive; and Seattle at 1st & University. At the Starbucks Reserve Roastery in Seattle, the Whiskey Barrel-Aged Cold Brew is made with slow-steeped Starbucks Reserve Whiskey Barrel-Aged Sulawesi combined with barrel-aged vanilla syrup and served in a rocks glass with a large cube of cocktail ice. Customers can also purchase Whiskey Barrel-Aged Sulawesi whole-bean coffee to brew home, while supplies last.